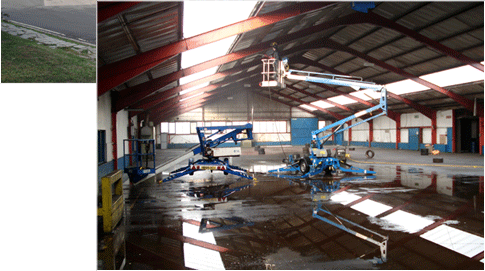 Hydroblasting / high pressure water jet cleaning - and soda blasting / archifine blasting. Remove layers of paint, dirt, grime and organic growth on roofs and buildings, roads / highways, boat hulls, block paving and more. We use specialist equipment to apply high pressure water jets to solve the worst cleaning problems, stripping surfaces cleanly back to their original state without damaging that surface. With soda blasting we use low pressure blasting equipment, the surface is cleaned and never damaged, which can happen with other methods of cleaning. Ideal for the dry cleaning and restoration of fire damaged / smoke damaged woodwork, roof timbers, beams and other surfaces. Refinishing / Painting Service Available! NO harmful or toxic by-products. 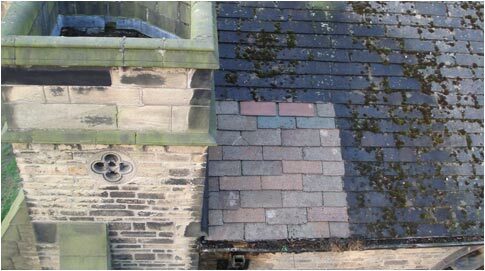 We will survey the job and advise you, before providing a quote for the work - no obligation whatsoever. Serving Domestic and Commercial Clients - from bungalows to industrial buildings.